Despite the date being August 9th, it is currently raining. Britain isn't known for its great summers, but even for us, the weather this August has been absolutely abysmal. From tornadoes on the south coast, to rain storms across the country - I just had to run to this little café and ask for their most glorious hot chocolate to compromise my soaked face and steamed up glasses from the weather outside. 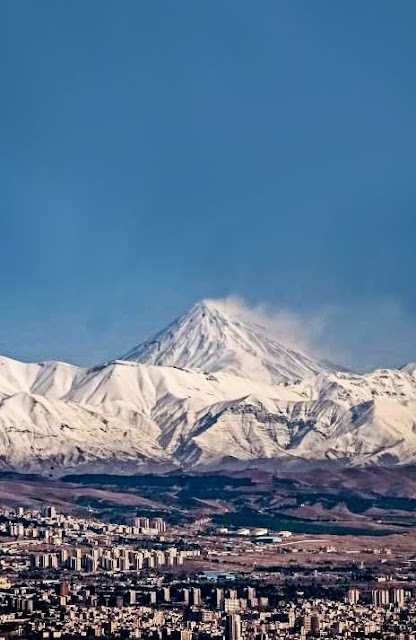 As a form of escapism, I've spent the afternoon looking up some of my must-do travel destinations and experiences. And thought I'd share them with you to help you escape the weather wherever you are (unless you're an abroad reader - in which case, please prepare for a visitor).. This is in my top 3 bucket list activities by far. Myanmar is a country embedded in culture and after an extremely unstable history, it's becoming safer for tourists to visit. 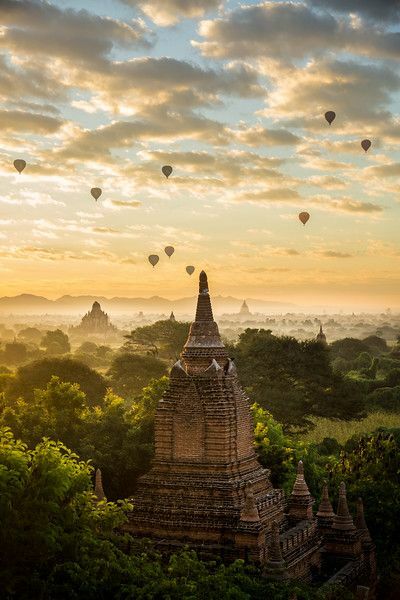 I'm desperate to spend time in Myanmar as a whole, but the pull of the hot air balloons over the temples definitely brings it to the top of my list. If you read my post on What I Read in July, you may have seen how elephants are my favourite animal. 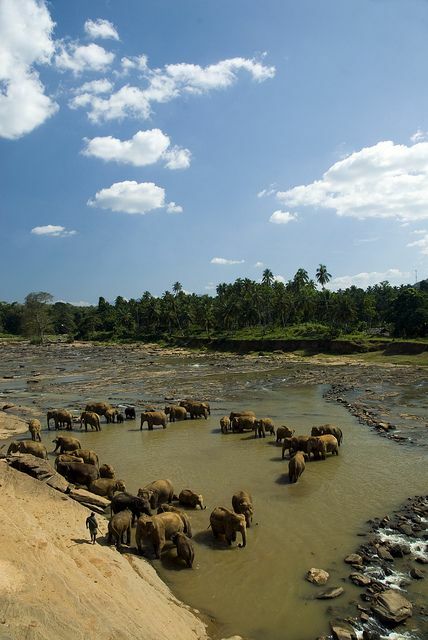 I will never ever ride an elephant, however, in Sri Lanka, visitors are offered the chance to visit elephants in giant national parks. Professionals deal with them and the money you pay goes towards making the sanctuary a safer, stronger home for the elephants and to pay for their upkeep. I could never bring myself to visit somewhere like the Elephant Temple in Thailand, even with the pull of being able to feed them and to be up close - the Sri Lankan sanctuaries may not give you a one to one experience, but I'd personally rather watch a herd of happy elephants from afar than one chained to the ground as I feed it. Oh my GOD just get me to FIJI. I cannot explain the hours I've spent pouring over photos and blog posts and videos in Fiji, it's my latest fascination. 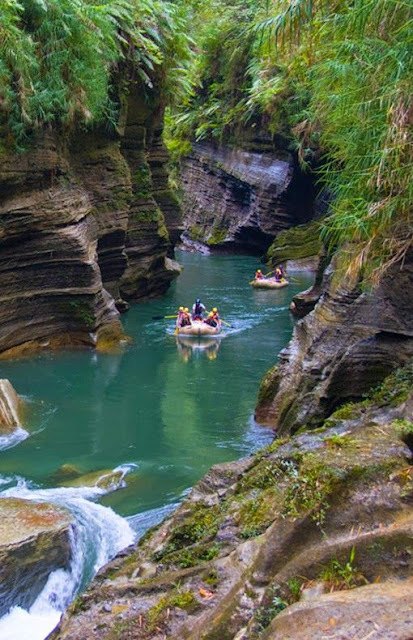 I'd always wanted to visit Australia and New Zealand, but Fiji was never really on my radar until about Christmas time. White sand and clear seas... if I don't manage to get around to it alone, it is my Number 1 honeymoon destination. I'm actually getting quite sad as I look from this photo to the view of the grey main road infront of me. For so long, Iran has been associated and involved in the unrest of the Middle East. I think a lot of westerners have a very warped opinion of the whole area, and although there is still risk in visiting at the moment and visiting may not be an option as a lone-traveler in the near-future, nowhere can be classed as 'safe' anymore. It's still on my bucket list for one day. I am obsessed with Canada. The difference with this 'travel destination' is that it's actually somewhere I'd love to live - in fact, there was a time not so long ago where I very almost accepted a job there. (Kept that one quiet from you didn't I)! 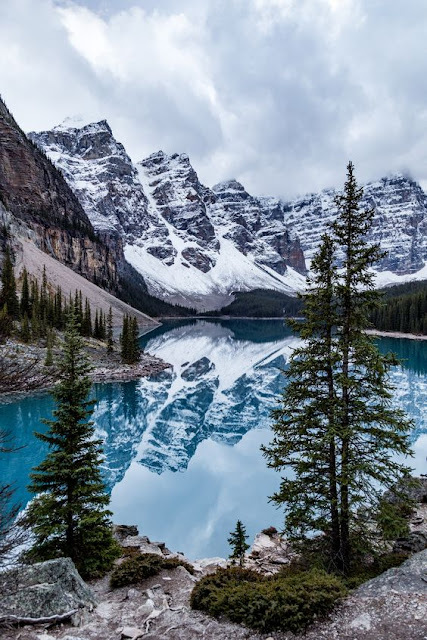 Canada has to be up there as one of the most beautiful countries in the world, and for me it just has the perfect balance between nature and city. I am absolutely desperate to spend some time there and visit the national parks. And it's right at the top of my travel bucket list. As you can see, I have absolutely no 'type' when it comes to countries and places I want to visit. From the beautiful sandy beaches in the South Pacific, to the sub-temperatures of Canada, I just want to see it all! It's so easy to sit here on my lunch break daydreaming about these incredible places, I'm hoping in the not-too-far future I'll be able to cross a couple off the list.